Domestic Player of the Year: Erick Hare (196-G/F-79) of Durango M.
G/F: Erick Hare (196-79) of Durango M.
Cananea handed 73-87 home loss to Hermosillo winning the title with perfect 4-0 in the Finals. 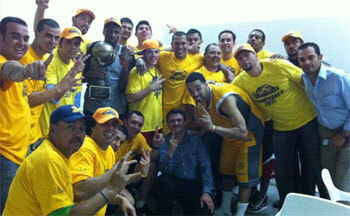 Cananea celebrated in CIBACOPA also two years ago, while last year they reached Finals. The game was mostly controlled by Mineros de Cananea. Rayos de Hermosillo managed to win second period 23-22. But it was not enough to take a lead and get a victory that evening. The game was dominated by American players. Forward Brandon Brown (201-85, college: Cal.St.-San Bernar.) fired 37 points (!!!) for the winners. Guard Davin White (186-81, college: Cal.St. Northridge) chipped in 20 points and 4 steals. Brown is a former Eurobasket Summer League player, which is considered top international summer league in the market. Center Marquise Gray (206-86, college: Michigan St.) produced 26 points and forward Lorrenzo Wade (198-85, college: San Diego St.) added 12 points and 6 assists respectively for lost side. 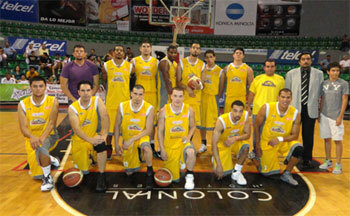 Cananea was the regular season champion with and later eliminated Tijuana and Guaymas.